Lawyers for the NAACP Legal Defense Fund (LDF) have filed papers claiming that the voting method for the 32nd Judicial District Court discriminates against black voters in Terrebonne Parish. The local Terrebonne branch of NAACP initially brought the case against Gov. Bobby Jindal, Attorney General James Caldwell, and Secretary of State Tom Schedler in February of 2014. 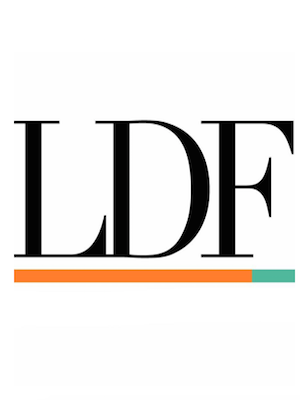 The LDF, a separate organization of the NAACP, filed a motion for summary judgment on Aug. 21, arguing that 32nd JDC’s voting methods violate Section 2 of the Voting Rights Act (VRA). “We’re asking the court to rule in our favor prior to trial, because we think that the material facts of our claim weigh in our favor,” said Leah Alden, an LDF attorney. The defense filed its own motion in favor of trial. A judge will now decide how the case moves forward. “It is only because of the VRA that there are black judges in Louisiana. The judicial system wouldn’t look the way it does were it not for the type of case that we are bringing against the parish,” said Alden. Although black voters comprise 20 percent of Terrebonne’s population, a black candidate has never won a contested parish-wide election in Terrebonne. “As recently as 2008, this structure resulted in a white judge’s re-election even after he was suspended for wearing blackface in an apparent parody of black criminal defendants,” said Alden. The NAACP is asking the federal district court to change the parish voting system from an at-large system to district-based voting. Under an at-large system, all parish voters vote for representatives across all elected positions. Under a district voting system, each district elects its own representative. Under a district method, black voters would comprise the majority in one of the five districts of Terrebonne Parish. District-based voting methods are currently used in the 16th Judicial District Court and 23rd Judicial District Court.